LONDON: The global halal food and beverage (F&B) market is set to boom in the next five years, driven by new entrants to the market. 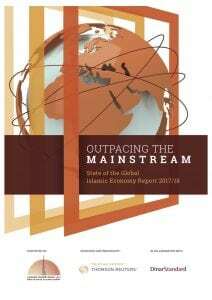 The sector is expected to grow from $1.24 trillion in 2016 to reach $1.93 trillion by 2022, according to the “State of the Global Islamic Economy” report. “Halal food is the largest and most diverse sector of the Islamic economy. New entrants have come into the market, and product offerings have firmly moved beyond being meat-focused to include candy, ready-made meals, snacks and children’s food,” said the report, published by Dubai Islamic Economy Development Center (DIEDC) in conjunction with Thomson Reuters: It revealed that Muslim spend on food and beverages is growing at nearly double that of global growth — creating significant opportunities for investment and the creation of global halal food brands. Food and beverage (F&B) leads Muslim spend by category, followed by clothing and apparel at $254 billion, media and entertainment at $198 billion, travel at $169 billion, and pharmaceuticals and cosmetics at $83 billion and $57.4 billion, said the report. It notes that established players are expanding at home and abroad through franchising and that multinationals have also made major investments in Muslim-majority markets, anticipating rising demand. Investment and sovereign wealth funds have been particularly active, and a number of halal investment funds are in development, it said. Family-friendly halal travel is another growth market with the number of Muslims traveling at an all-time high, and there is corresponding demand for travel that adheres to Islamic values — from hotels and beach resorts, to dining options and airlines. Halal hotel chains are emerging and family-friendly attractions are being developed in the GCC. Along with a plethora of new online agencies catering to Muslim tourists, Muslim equivalents of Airbnb have emerged in the UK and globally. Muslim spend on travel was $169 billion in 2016, and is expected to grow to $283 billion by 2022. Designer brands and boutiques are also developing new modest fashion lines and Ramadan collections. The reports said: “Start-up modest fashion brands have also been making inroads around the world, particularly for hijabs, gaining traction by spreading the word through social media. Modest athletic apparel is a notably trendy segment, with Nike getting in on the act as well as Danish label Hummel. Muslim spend on clothing was $254 billion in 2016, and is forecast to reach $373 billion by 2022.